The first annual City Heights Human Rights Festival drew over 500 people to the streets of San Diego�s most ethnically diverse neighborhood Saturday, December 11 for a march down El Cajon Boulevard and a fair in the parking lot of Hoover High School at El Cajon and 44th Street. Besides speeches by local elected officials who represent the area, including City Councilmember Todd Gloria and his former employer, Congressmember Susan Davis, the event also included musical performers, readings and a showing of a short film by the Media Arts Center, I Want My Parents � Back, dealing with immigrant rights and how border enforcement is breaking up families. The event was organized not only to commemorate the 62nd anniversary of the signing of the Universal Declaration of Human Rights, passed by the United Nations in 1948, but to call attention to rights abuses all over the world and especially in Viet Nam. 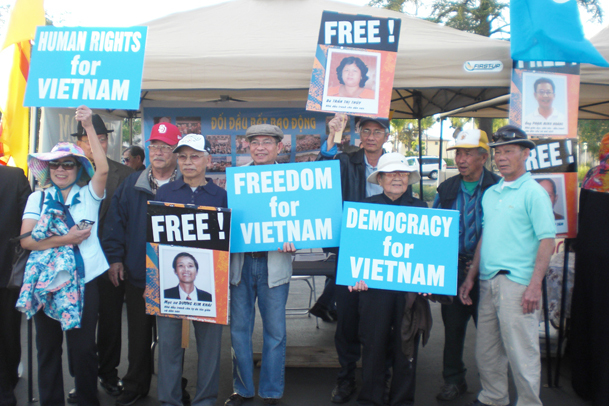 The impetus for organizing the event came from local representatives of the Viet Nam Reform Party, which exists clandestinely in Viet Nam and openly among Viet Namese immigrants in countries like ours that guarantee political freedoms. Among their demands is an end to one-party Communist rule in Viet Nam and an end to its ban on independent media. 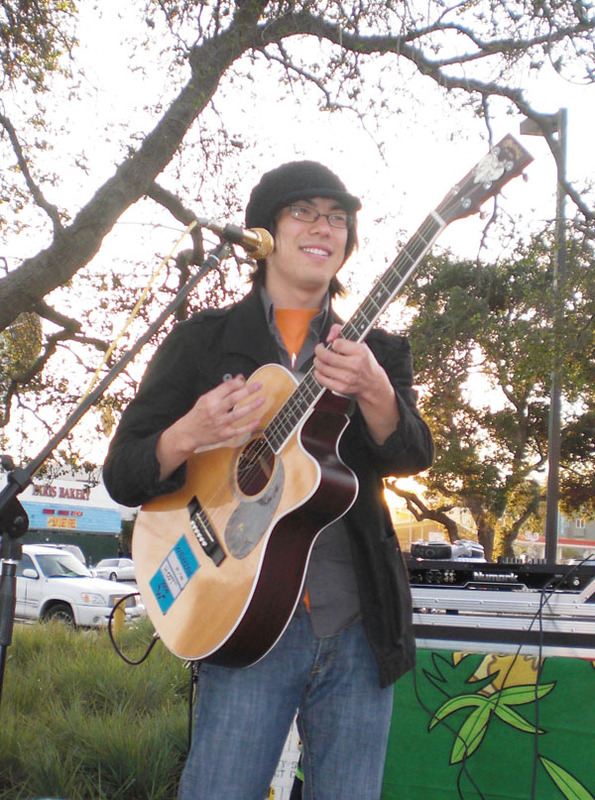 The first annual City Heights Human Rights Festival drew over 500 people to the streets of San Diego�s most ethnically diverse neighborhood Saturday, December 11 for a march down El Cajon Boulevard and a fair in the parking lot of Hoover High School at El Cajon and 44th Street. Besides speeches by local elected officials who represent the area, including City Councilmember Todd Gloria and his former employer, Congressmember Susan Davis, the event also included musical performers, readings and a showing of a short film by the Media Arts Center, I Want My Parents � Back, dealing with immigrant rights and how border enforcement is breaking up families. A stark painting, displayed on a banner at the festival, dramatically depicted the rights � or lack of same � Viet Namese citizens have today. It showed two people in green military uniforms standing on either side of a man in civilian dress who is grabbing another person�s head and holding him by the mouth. The painting had a caption which read, �Viet Nam Today � Freedom of Speech?� The controversial war the U.S. fought in Viet Nam in the 1960�s and 1970�s was supposed to preserve the freedom of at least some Viet Namese, but more recently the U.S. has normalized relations with the Communist government that defeated them and isn�t pressuring the Viet Namese authorities to allow their people political freedom. Congressmember Davis told the crowd that she is working to change that. She�s pushing the House of Representatives to pass a resolution adding Viet Nam to the U.S. government�s official list of �countries of particular concern� (CPC), maintained by the U.S. Secretary of State to denote nations that deny their citizens freedom of religion. As of 2009 the list included Burma (Myanmar), China, Eritrea, Iran, North Korea, Saudi Arabia, Sudan and Uzbekistan. 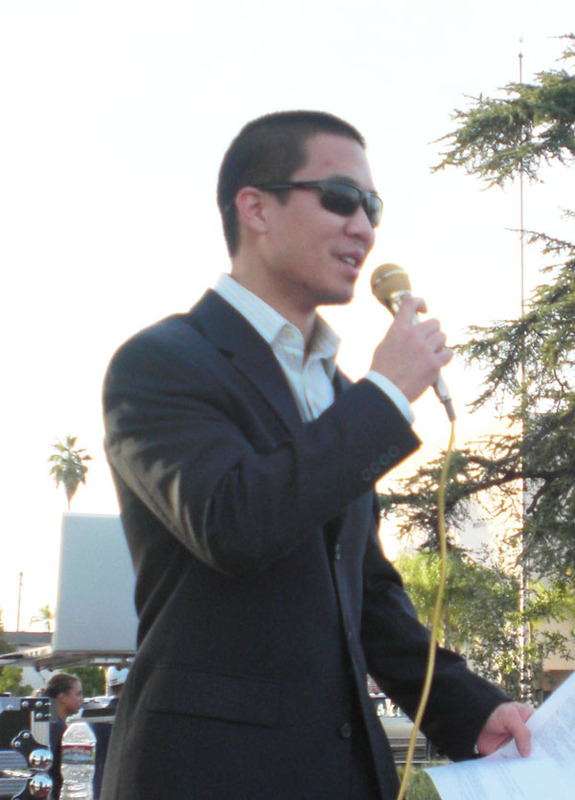 The event was MC�d by another Viet Namese-American, Anthony Nguyen, and featured a multi-cultural greeting in four languages (English, Spanish, Viet Namese and Arabic) based on a quote from the current Dalai Lama: �Human beings, in fact all sentient beings, have the right to pursue happiness and to live in peace and freedom.� Singer/songwriter Ivan Chong, who�s performed in the past for the Little Saigon Foundation�s Lantern Festival, sang five songs, and Naylene Nguyen followed him with two songs she sang to recorded accompaniment: �Let�s Love One Another� in Viet Namese and Whitney Houston�s 1980�s hit �The Greatest Love of All� in English. Naylene Nguyen and another woman, Tracy Lum Wy, also read a passage from the book The Gangster We Are All Looking For by Thi Diem Th�y L�, recounting her own teen years as a Viet Namese immigrant growing up in San Diego. A break-dancing group�s spectacularly acrobatic performance to a hip-hop recording was one of the highlights of the afternoon. 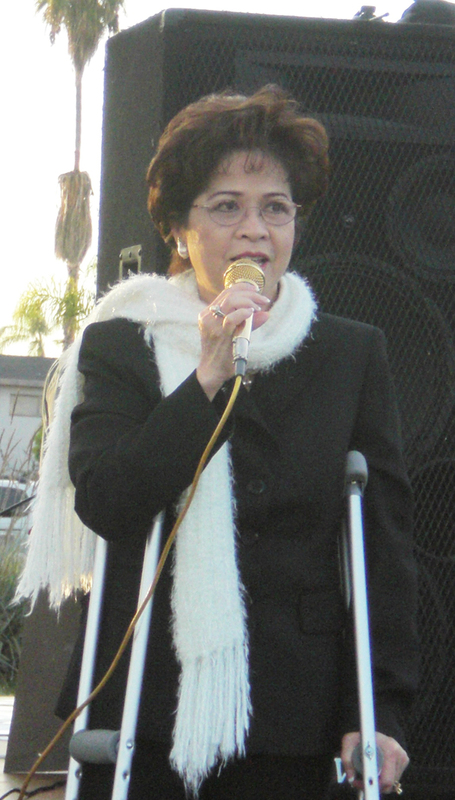 Councilmember Gloria used the occasion to announce the city�s formation of a �Little Saigon District� in the neighborhood, administered by the local Viet Namese community, to help support the many Viet Namese-owned businesses in the area.